The following are unsolved crimes throughout Polk, Hardee and Highlands County. Should you have any information regarding these incidents, please contact Crime Stoppers via this website or by calling 1-800-226-TIPS. You are guaranteed anonymity. Don't forget to look at our Wanted Suspects, too. Clean? Maybe, when it involves three Roomba vacuums and a Shark Navigator. 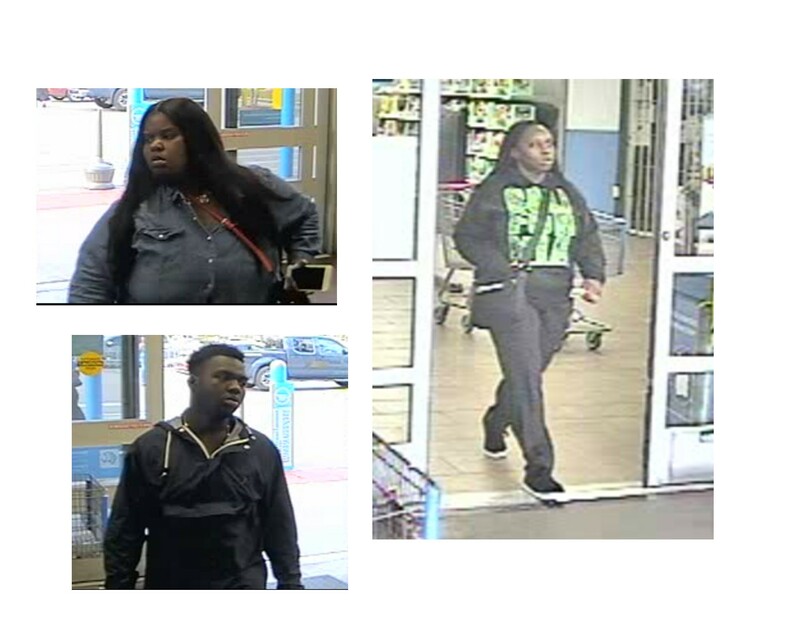 On 3-21-19 abut 8:30 a.m., the three pictured below entered Walmart (355 Cypress Gardens Blvd) and selected the aforementioned vacuums along with a Farberware cookset. All totalled, the items were valued at $1137. They are seen on video leaving in a gray station wagon, possibly a Dodge. On 03/18/19, an unknown suspect committed several frauds in the City of Bartow. Security footage was obtained from one of the locations in Bartow of the suspect. The suspect is a white male with short brown hair and full beard. The suspect was wearing a long sleeve blue plaid button down shirt, green camouflage cargo shorts, and dark colored boots. On March 21, 2019 the subject pictured above entered CVS located at 6105 Highway 98 North in Lakeland. He removed an electric shaver and two flash drives. The suspect concealed the items and exited the store, passing all points of purchase. The suspect, pictured above, is described as a white male wearing a gray t-shirt, blue jeans, black and white ball cap, and a black backpack. The subject was last seen leaving the area on a beach cruiser style bicycle. Detectives are asking for assistance in identifying the suspect.